Kroměříž is a beautiful Moravian town that stands on the site of an earlier ford across the River Morava. The town’s landmark is the Baroque Palace and garden, where certain scenes from Amadeus were filmed. 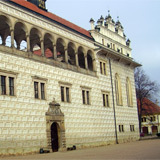 The Palace as well as the early Baroque gardens were added to the UNESCO World Heritage List in 1998 as they are an unique example of European Baroque residence. 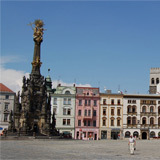 Kroměříž was established as a market town and became a property of the Bishops of Olomouc. In the 19th century a period of progress began which made the town a symbiosis of culture and art. It is fascinating in its history and architecture as well as the nature, which offers a lots of leisure time opportunities. In addition, every year, the city hosts many music festivals and exhibitions. 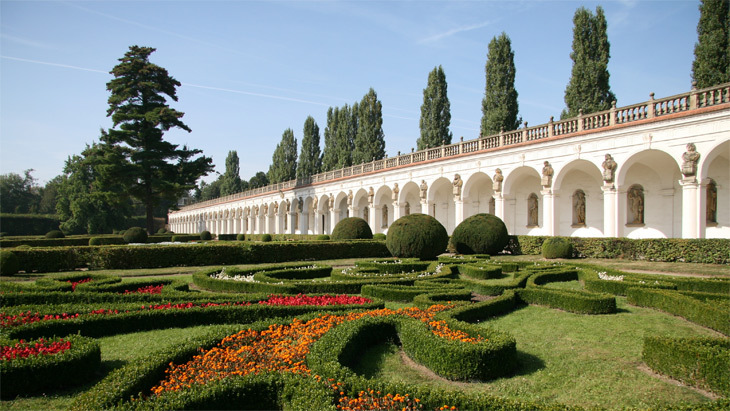 During the summer, Kroměříž is said to be reminiscent of the Garden of Eden, the flower garden was established in the mid 17th century and demonstrates perfect symmetry. These are the gardens that you will love to lose yourself in and wander for hours; you will be fascinated by a labyrinth of green walls, original flower and sculptural decoration, fountains with jets of water and an elegant colonnade with statues of the gods of antiquity. Moreover, the chateau houses a phenomenal collection of Central European paintings famous throughout Europe. Make sure not to miss this incredible collection of originals by Tizian, van Dyck, Cranach or Dürer.